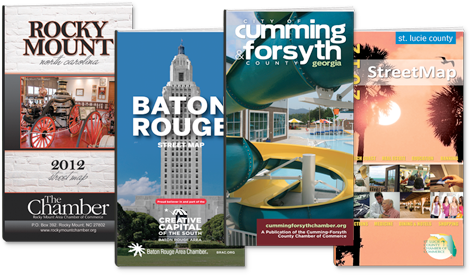 Target Marketing has been proudly serving government entities for over a decade by producing street level detailed maps and resource guides for city’s, county’s and municipalities with no outlay of government expense or tax payer dollars. In addition to the actual maps themselves, the sponsoring community government is given promotional space on the publication to help inform the residents, both old and new of the many offerings and government phone numbers provided in their community. Participation and sponsorship is available for all area businesses.